This book review was first published in the Journal of Islam and Christian-Muslim Relations (August 2014). In this small but fascinating book Justin Meggitt engages in an exercise of ‘micro-history’ in which a focus on the small scale and specific can enable bigger questions to be posed. (p.17). Using the example of Quaker-Muslim encounters in the seventeenth century he seeks to consider how differences in religious experience and belief can impact on interfaith relations, specifically Christian representations of Islam and relationships with Muslims in the early modern period. In particular he asks why the representations of Islam in the writings of early Quakers were so different from those dominant in Europe at the time. This book is mainly addressed to a scholarly audience but is written in an accessible style which means it will be of value to a more general readership interested in the history of Christian-Muslim relations. Although the book is relatively short in length at 103 pages, in addition to the main text, it contains a large amount of very valuable information within the footnotes and references (there are 370 footnotes along with 145 primary references and 289 secondary references). 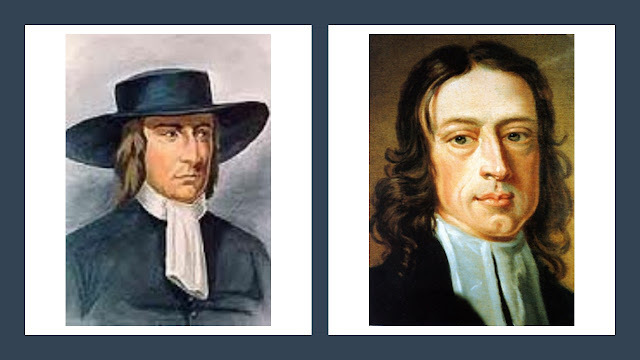 Following the Introduction, in Chapter Two Meggitt provides an outline of the early Quaker movement which emerged during the turmoil of the seventeenth century English Civil War and Commonwealth periods. He notes that this movement was explicitly opposed to the Christendom alliance of church and state and was founded on a Pentecostal and apocalyptic experience that led Quakers to assert that God teaches all people directly and inwardly through the immediate presence of the Holy Spirit. In Chapter Three he describes ‘Barbary Slavery’ in which over one million Europeans were sold in the slave markets of North Africa between the sixteenth and the eighteenth centuries. This was a reciprocal phenomenon in which Europeans also enslaved Muslims. Between 5% and 10% of Barbary slaves were from Britain and this included a number of early Quakers. The practice had a strongly negative impact on European perceptions of Islam in the early modern period. Chapter Four considers the overwhelmingly hostile representations of Islam and Muslims that had been dominant in Europe since the Crusades. Chapter Five, by focusing on a number of English books written in the early modern period, looks at how these hostile images were also dominant in English culture. Chapter Six highlights other examples of English writings of the period which represent exceptions to the dominant view. These were often produced by writers who had significant direct experience of Islam and of Muslim countries. Meggitt notes that “perhaps unsurprisingly, literature produced by those early modern English who lived or regularly travelling in Muslim-majority lands…provide us with a rich vein of anomalous pictures of Islam…” (p.36). Chapter Seven recovers the largely forgotten story of those early Quakers who were enslaved in Barbary and the letters written to them by the early Quaker leader, George Fox. 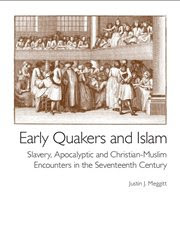 Meggitt notes that although life for the Barbary Quaker slaves was characterised by extreme deprivation and regular violence, there is little evidence of attempts to coerce the Quakers in matters of religion. In Chapter Eight, Meggitt shows how this situation highlighted important paradoxes for early Quakers. In particular, at this time the enslaved Quakers were freer to practice their religion in Barbary than Quakers were in England. Following the collapse of the English Commonwealth and the Restoration of the Monarchy in 1660, Quaker worship along with that of other nonconformists had been outlawed and a large number of Quakers were imprisoned for openly practicing their faith. In a letter to Quaker slaves in 1683, George Fox wrote “I think you have more liberty to meet (for worship) there than we do here; for they keep us out of our meetings, and cast us into prison and spoil our goods” (p.54). In Chapter Nine, the author argues that early Quaker belief had a significant impact on their representation of Islam and Muslims. Since they believed that God’s Spirit had been poured out on all people, professing Christians could not assume any preferential position in relation to non-Christians (including Jews and Muslims). What mattered was not religious affiliation nor outward doctrine but the experience of the transformative power of the Holy Spirit which was directly available to all people. Following her audience before the Turkish Sultan Mehmet IV in 1658, early Quaker minister Mary Fisher wrote “they are nearer the truth than many nation, there is a love begot in me towards them that is endless” (p.60). In his final chapter Meggitt argues that, although ideas about the apocalypse are usually associated with violent conflict and destruction, the early Quaker apocalyptic emphasised restoration and harmony. This vision of old divisions reconciled is reflected in the words of the Apostle Paul in his epistle to the Galatians “there is no longer Jew or Greek, there is no longer slave or free, there is no longer male and female; for all of you are one in Christ Jesus” (Galatians 3:28). He concludes that the universalist apocalyptic of the early Quaker movement enabled them to overcome to some extent the dominant European perspectives that helped create the Orientalist way of thinking about Muslims and Islam. This work makes a modest but valuable contribution to the scholarship of Christian-Muslim relationships in the early modern period and of European representations of the Ottoman Empire and of the Muslim world generally. It also demonstrates why Quakerism, although firmly rooted within the Christian tradition, holds a strongly universalist understanding of the availability of the Holy Spirit which undercuts any exclusivist definition of God’s people based on race or religious identity. Meggitt’s book has the potential to prompt further research into the potential impact of heterodox visions of Christianity and Islam on interfaith relations. In his magisterial work on the sixteenth century European Radical Reformation George Hunston Williams notes a similar connection between universalist Christian spiritualism and a relatively enlightened and inclusive attitude towards people of other faiths. He notes that Christian radicals such as “Muntzer, Franck, Castellio, Coornhert and Denck regarded Muslims along with Jews and righteous pagans as already a part of the Ecclesia spiritualis insofar as they conformed to the inner Word”. This subject demands greater attention. In his particular contribution to such a project Justin Meggitt provides us with an engrossing and fruitful exercise in ‘micro-history’ in which he succeeds in utilising a deliberately specific and small scale focus to raise much bigger and more general questions. Those interested in the study of Christian-Muslim relations owe him a small but important debt of gratitude. Williams, George Hunston (2000) The Radical Reformation, Kirksville (Truman State University), p.1226.